We live in an area abundant with wildlife, plant life and beauty. Often I hear people in person and on social media talk about and post photos of wildlife in their yards even within the City of Jamestown. A doe and her twin fawns were visitors to Southside residents last year, for example. 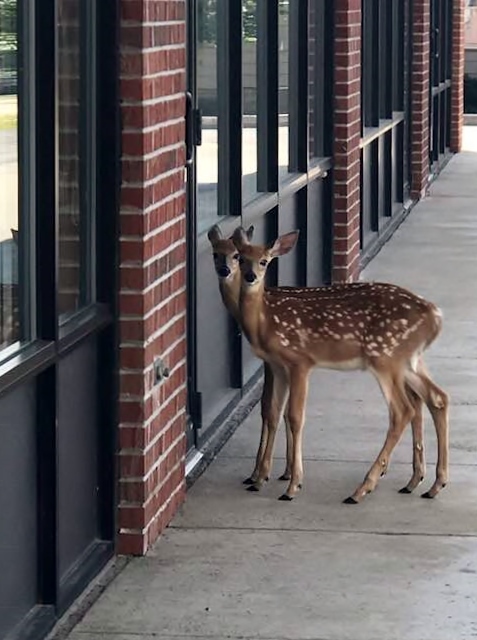 Recently, twin fawns showed up at a storefront on Fairmount Avenue without their doe for several days in a row. They peered in the window as if to say, Could anybody help us? Has anyone seen our mother? This year I see a mother doe and her tiny striped fawn nearby, finding sanctuary in a neighbor’s backyard forest glade. Many people love this kind of living close to wildlife, and I am one. Others express safety concerns and even anger about damaged landscaping, munched Hostas and missing flowers from their well-loved gardens. Their concerns are valid as well. And though we may differ in our primary concerns and feelings, most of us agree, we need a conciliation with wildlife. We need to live respectfully with other creatures. 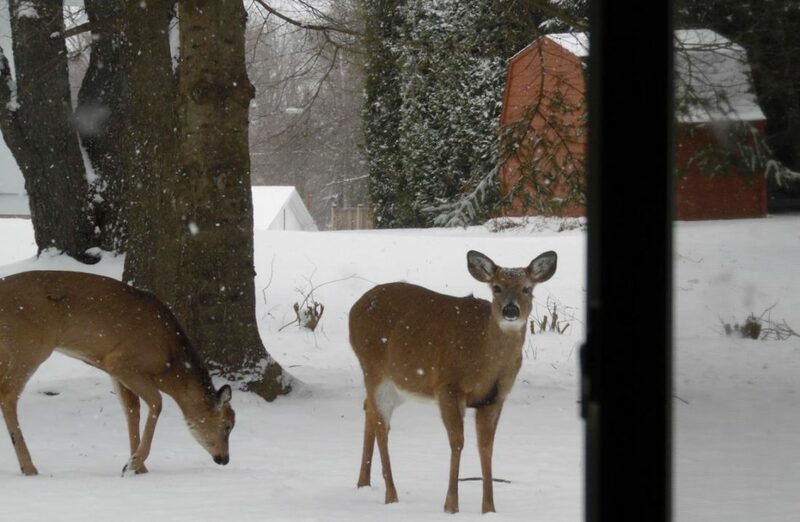 All winter I saw creatures in my large backyard, especially early in the morning, such as deer, skunks, squirrels, chipmunks, and rabbits. A black bear has been spotted nearby and another on Swede Hill this summer. All my pets have stayed safe, and none of these creatures has ever posed a problem for me. I find it a marvel to see them, and I welcomed even the large and quite beautiful skunk that travelled my back yard every day all the fierce winter long. I was sorry to see it lying dead in the back corner of my yard one spring day. I fear a neighbor killed it. But maybe it was just Nature, taking care of her own. This spring a dozen Canada Geese took up brief residency at the McCrae Point Park. They had flocks of goslings, buttery yellow and brown, whom the parent geese tended fiercely. For those of us who frequent the park and work nearby, we saw them daily. 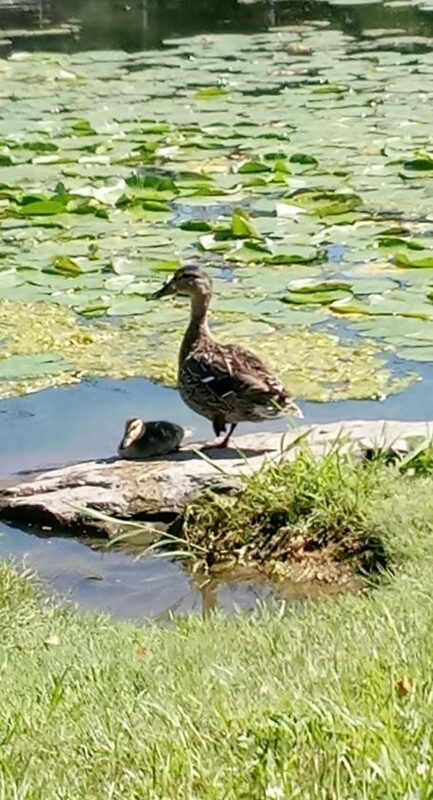 It was a joy to see those goslings grow and the dutiful love of their parents. One day though, long before the goslings were feathered, they all disappeared overnight. For the next two months, not a goose could be seen anywhere near McCrae Point Park. A few ducks remained, a very few. But we all wondered, what had become of those geese and their goslings? Nobody seemed to know where they went. We all fear the worst–that they were systematically killed. The park workers said no. The New York State Department of Wildlife said they may have just left en masse. No permits were issued to kill them. Sometimes in winter I have awakened in the night here home to find a lone doe or buck by my bird feeder, not 10 feet from the front door. When this happens, we are transfixed, the creature and I, locking eyes, and for a little while, communing peacefully through a window. Winter this year was particularly harsh. I know some deer found refuge in a nearby thicket. I was glad for them. When spring came, they crossed my yard in groups of five or six, looking ragged and forlorn. Life is hard for them at such times. This summer, the deer or some other night critters have come and eaten the heads off my Hostas as well as my sunflowers. I did not begrudge the wild things their meal. And soon I was glad to see, those very plants have rejuvenated in just a few short weeks. They are full of leaves and flowers again. We need harmony with nature, with others, to live life fully. Even though our area has relatively few people per square mile, comparatively speaking, sometimes humans and wildlife collide. My childhood friend Denise Ahlstrom-Priestman recently shared her angst over major losses in landscaping that she and her husband had put in. Denise, a warm and loving person who loves and appreciates wildlife, was exasperated at the destruction deer had caused by eating her plants and flowers. She asked, what can be done to protect my landscaping and the beautiful deer too? It is such an important question. How does an enlightened society handle this? My thought is we no longer need to hunt for food. We have options. Perhaps we might put our heads and hearts together to cultivate more ethical, humane and elevated ways to live in harmony with wildlife and nature rather than to resort to the slaughter of wild things. I recall the great organized hunt in Kabob during in the early 19th century where hundreds of animals were converged upon from four sided and shot to death. The farmers, the hunters, justified their actions by claiming they were after destructive wolves and “panthers” who raided their farms nearby. But in the holocaust, all types of animals were killed. Surely we have come further than that in our dealings with nature. One idea is to turn to experts. Cornell University is a primary authoritative source for knowing how to balance wildlife with human life. Cornell’s website offers information about landscaping plants and flowers, trees and shrubs, that discourage deer and wildlife. No plant is completely deer proof, they repeat, especially where deer populations are high. But the following plants will deter deer. The first suggestions by Cornell University were the ornamental trees of common boxwood and spruce, both of which grow abundantly here in our county and in our zone. Some herbaceous plants that deer rarely eat include a lovely group of flowers such from Ageratum to Dahlias, Morning Glory, Marigolds and Verbena. All of these are sweet smelling and beautiful flowers for anyone’s garden. Garlic, chives, beebalm and fever plant, nettle, and basil also deter deer from entering or eating one’s garden plants. Perennials recommended by Cornell University include quite a list of beauties from anemones and baby’s breath, clematis, columbine, daffodils, heather, pachysandra, lavender, lupine, tiger lily, and wisteria to name a few. The complete lists of plants, trees, shrubs and flowers can be found at cpb-us-e1.wpmucdn.com/blogs.cornell.edu/dist/f/575/files/2015/12/14wildlife-13jkko7.pdf along with a printable document of information. There is some information available as well from reputable sources that deer populations can be controlled by birth control. According to my research, that cost would amount to $300 and up per doe. The EPA has given its approval, and this system will gradually reduce local deer populations. It seems to be effective in reducing the offspring to zero for a three-year period. The drug is shot by dart, causing no long term damage or pain. More information can be found here at this link http://www.humanesociety.org/animals/deer/tips/deer-humane-control.html. We can rethink our beliefs and move beyond our father’s sayings, if it is wise to do so. We can reconsider our relationship to land, to wild creatures, and to the environment and do what is best for all not just for ourselves. 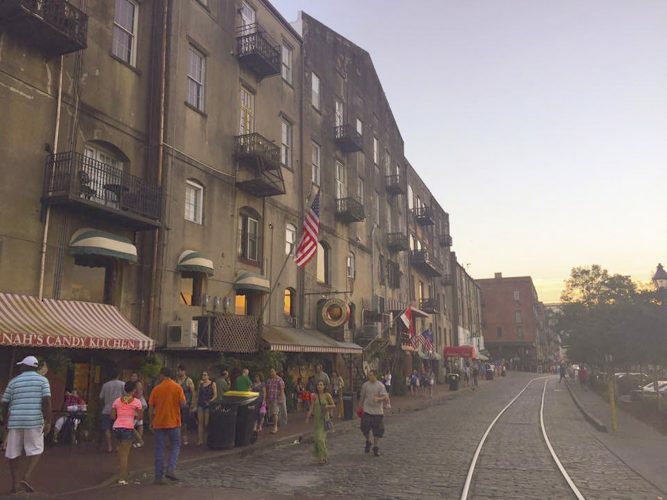 We can reflect on our history and behaviors. We can learn from past. So when we plant our gardens and beautify our yards, we can do so with wildlife in mind. We might even plant some for wildlife in a spot where they will not interfere with other gardens. In this way, we live in harmony with our wildlife and do our best in the world.